Plasmodium vivax relapses contribute to about half of all the malaria cases reported annually in India. It has unique feature of causing relapses due to persistent liver stages of the parasite (hypnozoites), which makes control of vivax malaria challenging. Relapse rates of up to 40% have been reported from different parts of India,. In vivax malaria, relapses are known to dominate over the primary attacks and if 65% of vivax malaria cases are treated with antirelapse therapy, elimination would be possible in a decade. Currently, primaquine is the only registered and marketed antirelapse agent; however, it is known to cause haemolysis in G6PD deficient individuals,. For targeted malaria elimination, it is important to administer primaquine in safe and effective doses in all the vivax malaria cases to prevent relapses. We present a case of vivax malaria with G6PD deficiency, in which primaquine was administered weekly in WHO recommended dosage. Weekly primaquine was found to be safe in G6PD deficient patient, and there were no clinical or laboratory manifestations of haemolysis. A 23-yr-old male patient reported to malaria clinic at the National Institute of Malaria Research, New Delhi, with positive laboratory report for P. vivax malaria. He was referred by a physician for deciding the line of treatment, since he was G6PD deficient. Blood smear was positive for P vivax malaria with parasite count of 12,960/μl. He was treated with chloroquine (10 mg/kg on Day 0 and 1; and 5 mg/kg on Day 2). He had three episodes of vivax malaria within a period of six months [Figure 1]. His G6PD level was 1.27 U/g of haemoglobin, around 26% of the lower limit of normal range (4.60–13.50 U/g) of G6PD. Primaquine was not prescribed to him during the previous episodes due to G6PD deficiency. Figure 1: Days to relapse before primaquine therapy. To prevent further relapses, the patient was advised primaquine in the dose of 0.75 mg/kg body weight every week for 8 wk as per WHO guidelines, which considers it as a safe regimen in G6PD deficiency, under supervision of a physician. Before administering primaquine, haemoglobin level was 13.9 g (at baseline) which dropped to 12.9 on Day 7 of administration. It recovered by third week [Figure 2]. There were no adverse events like nausea, pain in abdomen, dark coloured urine or significant fall of haemoglobin after administering primaquine. Compliance to weekly primaquine was ensured by making phone calls. After completion of primaquine course for 8 wk, no episode of clinical malaria occurred for one year. Figure 2: Hb levels following primaquine therapy. G6PD genotyping was carried out, using PCR-RFLP followed by sequencing. The results were analysed with BLAST tool (G6PD accession no. NM_001042351.2, http://ensembl.org) which confirmed the absence of three mutations, i.e. G6PD Mediterranean, G6PD Orissa and G6PD Kerala Kalyan, that are common in India [Figure 3]. However, due to lack of sufficient blood sample, further investigation of G6PD mutation by exon-wise PCR and nucleotide sequencing could not be performed. Figure 3: Ethidium bromide stained 3% agarose gel showing the restriction enzyme digested amplified products in three common G6PD mutations. Lane 1 sample lacks the digestion site and produced—(a) 377 and 198 bp products in exon 6/7 with MboII; (b) 107, 75 and 66 bp products with HaeIII; and (c) 74 and 60 bp products with MnlI restriction enzymes respectively. However, Lane 2 (Control) produced—(a) 277, 119 and 100 bp products in exon 6/7; (b) 123, 107 and 66 bp products in exon 3/4; and (c) 80 and 60 bp products in exon 9 upon digestion. M1, M2 and M3—Molecular markers of size 100, 50 and 20 bp respectively; U—Undigested product [575 bp in (a), 352 bp in (b), and 275 bp in (c)]; 1—Patient sample DNA; 2—G6PD deficient controls. Plasmodium vivax relapses contribute to a significant burden of malaria in India. The national antimalarial drug policy of India recommends use of primaquine at dose of 0.25 mg/kg daily for 14 days for preventing relapses. However, it is contra-indicated in G6PD deficient individuals due to its haemolytic potential. Primaquine can cause haemolysis in G6PD deficient individuals and even in heterozygous females with G6PD levels 40–60% of normal,,. As suitable point of care test for G6PD is not available, many practitioners are reluctant to prescribe primaquine due to risk of haemolysis in G6PD deficient patients. The Indian national treatment guidelines also recommends primaquine without testing for G6PD but with educating the patient regarding the warning signals of haemolysis and after weighing risks vs benefits of treatment. In this report, a case of relapsing vivax malaria with G6PD deficiency is reported. The patient had three episodes of malaria in last six months, i.e. relapses were observed, 4, 5 and 6 months after the primary episode of malaria [Figure 1]. The relapses occurred in the months of January, February and March 2015. These months have been reported as the months of relapse through a transmission model. In India, frequent as well as long latency relapses have been reported,. WHO has advised use of weekly primaquine as antirelapse therapy in patients with G6PD deficiency. This weekly treatment should be given under medical supervision and patient should have access to health facility with facilities for blood transfusion. Primaquine in the dose of 0.75 mg weekly is safe and effective in preventing relapse, since the total dose of primaquine administered matters instead of per dose strength,. There are no reports from India regarding haemolysis due to weekly primaquine therapy in G6PD deficiency. A review of risks and benefits of primaquine mentions that the incidence of serious adverse events with primaquine therapy in known G6PD deficient patients was 11.2%, but a majority of these received a daily dose of primaquine. The drug induced haemolysis in G6PD deficient patient can be related to the variant of G6PD, dose and duration of the medicine, disease factors and patient factors like anaemia. The patient in this case had a mild G6PD deficiency, low parasite count and was not anaemic, and received a weekly dose; hence, there was no significant fall in haemoglobin. Globally, few studies have reported safety and efficacy of primaquine weekly dose in G6PD deficient subjects. From India, this is the first reporting on safety of weekly dose of primaquine in a patient of vivax malaria with G6PD deficiency. The patient belongs to Rajasthan, where G6PD deficiency has been reported up to 11.25%. In India, the reported G6PD deficiency prevalence is 0–27% and the common genetic variants are: G6PD Mediterranean (60.4%), G6PD Orissa (24.5%) and G6PD Kerala Kalyan (13.3%),. About half the malaria cases in India are due to P. vivax, and relapses contribute to a significant number. G6PD deficiency of up to 27%, coupled with non-availability of suitable point of care G6PD test creates dilemma in prescribing primaquine without G6PD testing. In this case, though patient was G6PD deficient, weekly primaquine (0.75 mg/kg) was well tolerated and no episode of haemolysis was observed as Hb levels were within normal limits. Primaquine has shorter half life (t½ 5 h), and even if haemolysis occurs, it is self limiting. There is need of generating more data to assess the safety of weekly primaquine in malaria patients with G6PD deficiency. This will help in developing confidence among practitioners for prescribing primaquine in such patients. This case report demonstrates the safety of weekly primaquine in G6PD deficient patient and highlights the need of studying safety of primaquine, 0.75 mg/week in more number of cases which will help in guiding the national policy. The authors thank the National Institute of Malaria Research (NIMR), New Delhi for providing laboratory facilities. Help from the staff of Malaria Clinic of NIMR is also acknowledged. Thanks are also due to the National Institute of Immunohematology, Mumbai, India for providing training on G6PD genotyping. Ethical statement: Verbal consent was obtained from patient for weekly primaquine therapy and publication. Anvikar AR, Shah N, Dhariwal AC, Sonal GS, Pradhan MM, Ghosh SK, et al. Epidemiology of Plasmodium vivax malaria in India. Am J Trop Med Hyg 2016; 95(6 Suppl): 108–20. doi:10.4269/ajtmh.16–0163. Adak T, Sharma VP, Orlov VS. Studies on the Plasmodium vivax relapse pattern in Delhi, India. Am J Trop Med Hyg 1998; 59(1): 175–9. Srivastava HC1, Sharma SK, Bhatt RM SV. Studies on Plasmodium vivax relapse pattern in Kheda district, Gujarat. Indian J Malariol 1996; 33(4):173–9. Kevin BJ. Point-of-care G6PD diagnostics for Plasmodium vivax malaria is a clinical and public health urgency. BMC Med 2015; 13(1): 296. doi:10.1186/s12916-015-0531-0. Roy M, Bouma MJ, Ionides EL, Dhiman RC, Pascual M. The potential elimination of Plasmodium vivax malaria by relapse treatment: Insights from a transmission model and surveillance data from NW India. PLoS Negl Trop Dis 2013; 7(1): e1979. doi:10.1371/journal.pntd.0001979. Baird JK Hoftman SL. Primaquine therapy for malaria. Clin Infect Dis 2004; 39(9): 1336–45. Brewer GJ, Zarafonetis CJ. The haemolytic effect of various regimens of primaquine with chloroquine in American Negroes with G6PD deficiency and the lack of an effect of various antimalarial suppressive agents on erythrocyte metabolism. Bull World Health Organ1967; 36(2): 303–8. Sukumar S, Mukherjee MB, Colah RB, Mohanty D. Molecular basis of G6PD deficiency in India. Blood Cells Mol Dis 2004; 33(2):141–5. doi:10.1016/j.bcmd.2004.06.003. Kurdi-Haidar B, Mason PJ, Berrebi A, Ankra-Badu G, al- Ali A, Oppenheim A, et al. Origin and spread of the glucose- 6-phosphate dehydrogenase variant (G6PD-Mediterranean) in the Middle East. Am J Hum Genet1990; 47(6): 1013–9. National Drug Policy on Malaria 2013. Delhi: National Vector Borne Disease Control Programme 2013. Available from: http://www.nvbdcp.gov.in/Doc/National-Drug-Policy-2013.pdf. (Accessed on December 12, 2016). Reeve PA, Toaliu H, Kaneko A, Hall JJ GM. Acute intravascular haemolysis in Vanuatu following a single dose of primaquine in individuals with glucose-6-phosphate dehydrogenase deficiency. J Trop Med Hyg 1992; 95(5): 349–51. Point-of-care G6PD testing to support safe use of primaquine for the treatment of vivax malaria. Geneva: World Health Organization 2015. Avaliablefrom: www.who.int/malaria/mpac/ mpac-march2015-erg-g6pd.pdf. (Accessed on September 18, 2016). von Seidlein L, Auburn S, Espino F, Shanks D, Cheng Q, McCarthy J, et al. Review of key knowledge gaps in glucose- 6-phosphate dehydrogenase deficiency detection with regard to the safe clinical deployment of 8-aminoquinoline treatment regimens: A workshop report. Malar J 2013; 12: 112 doi:10.1186/1475-2875-12-112. Guidelines for diagnosis and treatment of malaria in India. New Delhi: National Institute of Malaria Research 2014. Available from: http://www.mrcindia.org/Diagnosis of Malaria pdf/ Guidelines 2014.pdf (Accessed on June 25, 2016). Ganguly S, Saha P, Guha SK, Basu N, Maji AK. 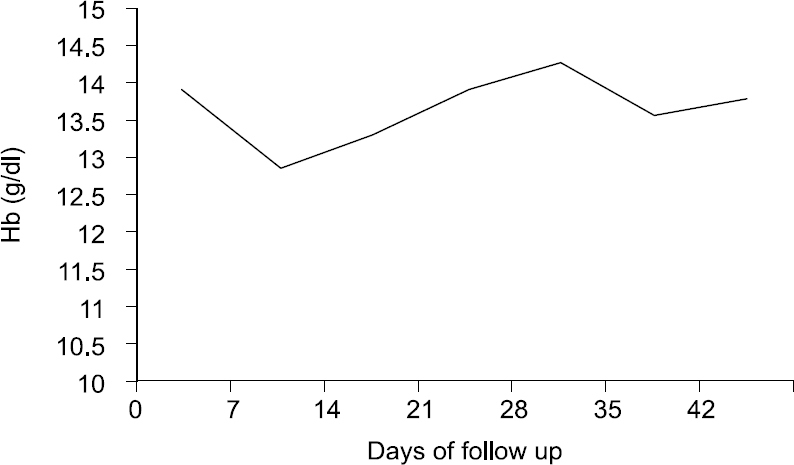 Recurrence pattern of P. vivax malaria following treatment with chloroquine either alone or in combination with primaquine in urban Kolkata, India. Int J Recent Sci Res 2014; 5(6): 1046–9. Guidelines for treatment of malaria. III edn. Geneva: World Health Organization 2015. Available from: apps.who.int/iris/ bitstream/10665/162441/1/9789241549127_eng.pdf. (Accessed on November 20, 2016). Clyde DF, Mccarthy VC. Radical cure of chess on strain vivax malaria in man by 7, not 14 days of treatment with primaquine. Am J Trop Med Hyg 1977; 26(3): 562–3. John GK, Douglas NM, Seidlein LV, Nosten F, Baird JK, White NJ, et al. Primaquine radical cure of Plasmodium vivax: A critical review of the literature. Malar J 2012; 11(1): 280. doi: 10.1186/1475-2875-11-280. Ashley E , Recht J, White NJ. Primaquine: The risks and the benefits. Malar J 2014; 13(1):418. doi: 10.1186/1475-2875-13418. Beutler E, Duparc S. Glucose-6-phosphate dehydrogenase deficiency and antimalarial drug development. Am J Trop Med Hyg 2007; 77(4): 779–89. doi: 77/4/779 [pii]. Kheng S, Muth S, Taylor WRJ, Tops N, Kosal K, Sothea K, et al. Tolerability and safety of weekly primaquine against relapse of Plasmodium vivax in Cambodians with glucose-6-phosphate dehydrogenase deficiency. BMC Med 2015; 13(1): 203. doi: 10.1186/s12916-015-0441-1. Leslie T, Mayan I, Mohammed N, Erasmus P, Kolaczinski J, Whitty CJM, et al. A randomised trial of an eight-week, once weekly primaquine regimen to prevent relapse of Plasmodium vivax in Northwest Frontier Province, Pakistan. PLoS One 2008; 5(8): e2861. doi: 10.1371/journal.pone.0002861. Choubisa SL. Abnormal haemoglobins, thalassaemia and G- 6-PD enzyme deficiency in Rajasthan (western-India). Haema- tologia (Budap) 1991; 24(3): 153–65. Mohanty D, Mukherjee MB CR. Glucose-6-phosphate dehydrogenase deficiency in India. Indian J Pediatr 2004; 71(6): 525–9.